HOW WOULD YOU set about creating a major industry with not much more than a good idea? You probably couldn’t do it today. In 1927, however, you could make a modest start with a garage, not much money, a fair amount of vision, an awful lot of faith and some basic engineering. Those were the ingredients put together by Joshua Powell, an advertising agent from Clacton-on-Sea, Essex and L.E. Owen, a local broadcast engineer. 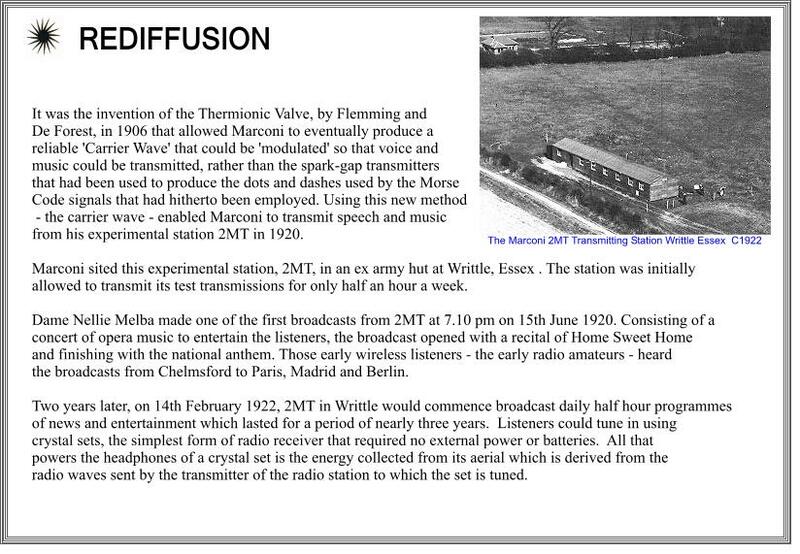 Radio Broadcasting had begun in 1920 with Marconi's experimental station 2MT located in Writtle, Essex. And by late 1922 the British Broadcasting Company was formed with the government granting the BBC a licence to operate and full a service had commenced. At this time, buying a radio set to receive the broadcast was a very expensive proposition so the listening audience to the new transmissions was limited. The idea Joshua Powell had, like most good ideas, was really quite simple. With one wireless set in the sitting room and a bit of wire, you could have an extension loudspeaker in the kitchen much cheaper than two wireless sets and much less to go wrong too, because there was just a loudspeaker in the kitchen with no valves to fail and no electricity wanted. Why not extend the idea, with one large wireless set fed with a good aerial in the middle of the town, and connecting wires leading to extension loudspeakers in everyones home? In December 1927 the idea became a reality when Mr. Powell started a relay service from his garage in Clacton, the wires being taken over a garden fence to neighbouring houses. 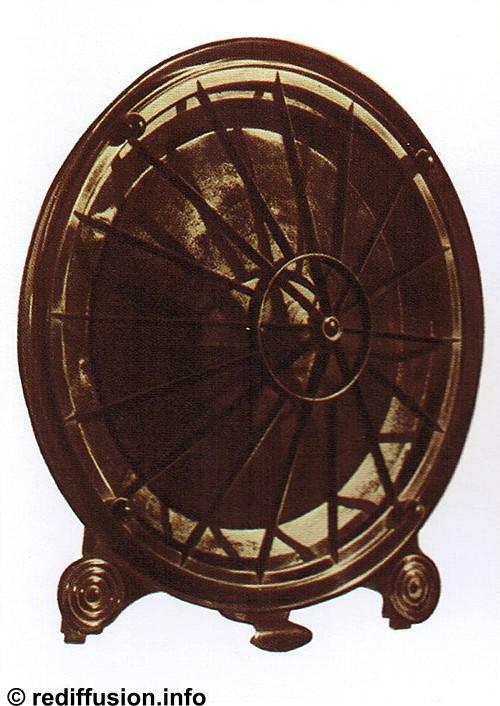 Only one wireless programme was available and was carried by a single wire to loudspeakers in the customers’ homes. 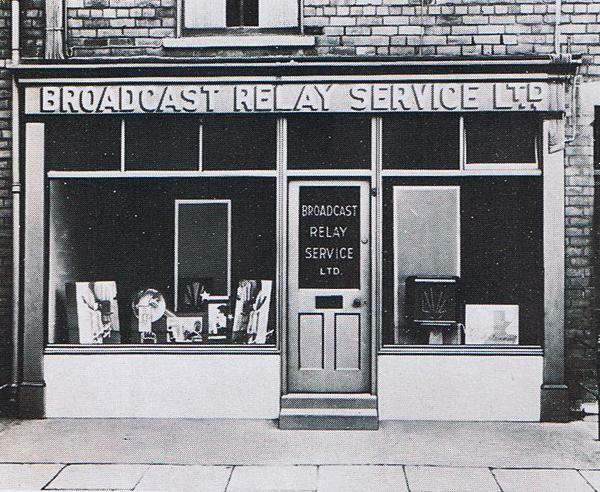 By March 1928 there were about 200 subscribers to the service, and a company called Broadcast Relay Service Ltd., with its registered office in Clacton, was founded. Almost immediately the fledgling company ran into serious difficulties. 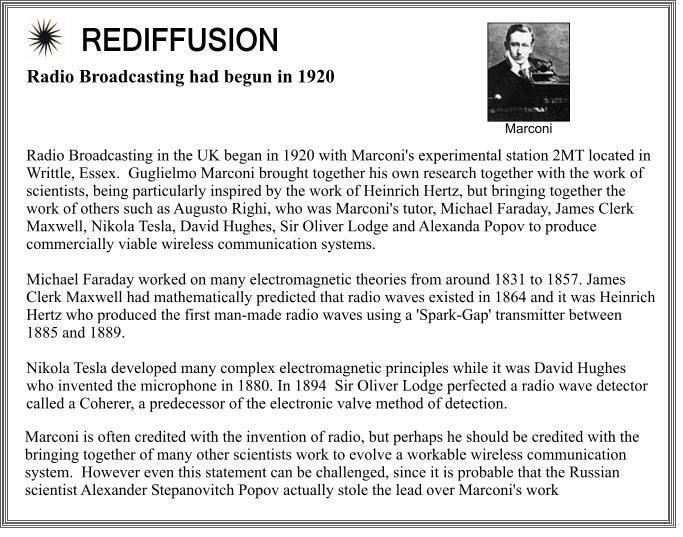 There were problems with Marconi over patents, difficulties with the British Post Office over a licence to operate the relay service, and to make matters even more difficult, there was also a cash crisis. Agreement was reached over the patents, but the Post Office licence question nearly closed the company down. Because it was wired with an earth return, all telephone subscribers picked up the programme being relayed when it rained. As a result the service was threatened with closure. The solution was to rewire the whole system as a two-wire system. An event hardly calculated to improve a steadily worsening money situation. Money was difficult to raise because the terms of the Post Office licence, which was for three years, included the proviso that the service could be closed down or taken over without compensation. By late 1928 there were just over 200 subscribers and a staff of five. The system, however, was beginning to expand. Subscribers were being connected at a rate of about ten a week in Clacton. At this stage the company was joined by J.W.C. Robinson, who eventually went on to marry Mr. Powell’s daughter. Although money was still at a premium it was decided to expand. Services were opened in Braintree (November 1928), Ramsgate (December 1928) and Hull (January 1929). In each town there was a staff of three or four. Initially subscribers were asked to pay 2s (10p) a week for the programme and is for the loudspeaker. At 3s (15p) a week, subscribers were hard to find, particularly in Hull. The breakthrough came with the availability of a new loudspeaker. This could be bought by the company for 13s 6d ( 68p) and with three-months’ credit thrown in. The rental was reduced to ls 6d (8p) a week for the programme and 6d (3p) a week for the loudspeaker. At 2s (10p) a week there was a market. Salesmen were paid £1 a week and 4s (20p) for each contract. They sold by knocking on doors and were frequently able to make £6 to £7 a week. Subscribers in the South were now being connected at a rate of 100 a week. This dramatic rise was due to a number of factors. The country was in the grip of a depression and unemployment was high. Few houses had electricity, and the cost of buying a wireless with batteries or the inconvenience of an accumulator, which had to be recharged, was beyond the reach of most people. A relay service, at a cost of 2s (10p) a week, was within reach and the company expanded. Rapid expansion has to be financed and with empty coffers there was an urgent need for a cash injection. It was decided that outside directors should be brought in to provide badly needed money. It was not, however, until 1931, when Wavell Wakefield and Bev Lyon joined the founders that the financial pressure was eased. 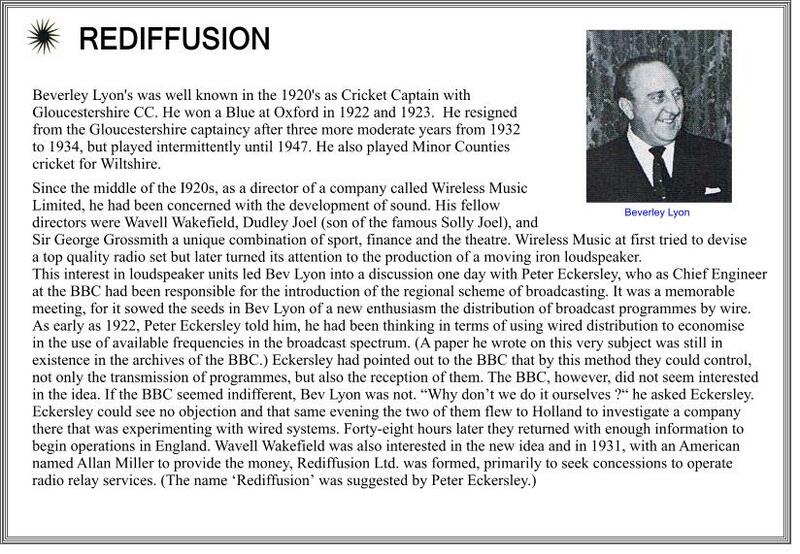 A new company was formed, Rediffusion Ltd. a name coined by Peter Eckersley who had joined Broadcast Relay Service in 1929 as a consultant engineer from the BBC where he had been the Corporation’s first chief engineer. 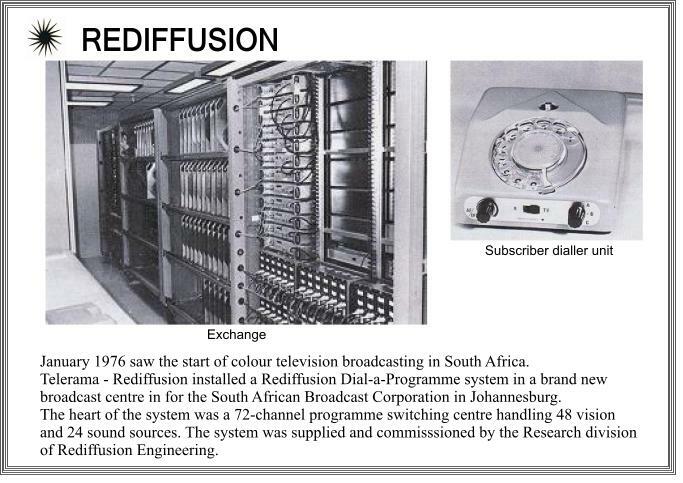 Rediffusion was intended to be the company that obtained concessions from local councils for Broadcast Relay Service to operate. J.W.C. Robinson left the company the same year. He was still to make a major impact in relay by operating a number of successful companies, many of which were later acquired by large national rental groups. Business in those days had a distinctive flair which reflected the characters of its leaders. Henry Ford in America and William Morris in Britain were transforming the world’s travelling habits and imposing their own personalities on their products. Bev Lyon and Wavell Wakefield brought the same highly-personal approach to Rediffusion and the relay business. Stories about the two men, some true, others not so true, are endless. One of the best is the supposed reason that they got together in business. Bev Lyon was a fine cricketer, he captained Gloucestershire, and Wavell Wakefield an international rugby player, capped many times for England. The story goes that because Lyon wanted something to do in winter when he wasn’t playing cricket, and Wakefield wanted to fill the summer when he wasn’t playing rugby they decided that running a business together was the answer. Whatever the legend there is little doubt that both men took their business activities seriously. Wakefield entered Parliament in 1935 and was an MP until 1963. In his early days in the House he lead the fight for the right of relay companies to exist without the constant threat of a take-over by the Post Office, who were supported by the BBC and the newspaper owners. 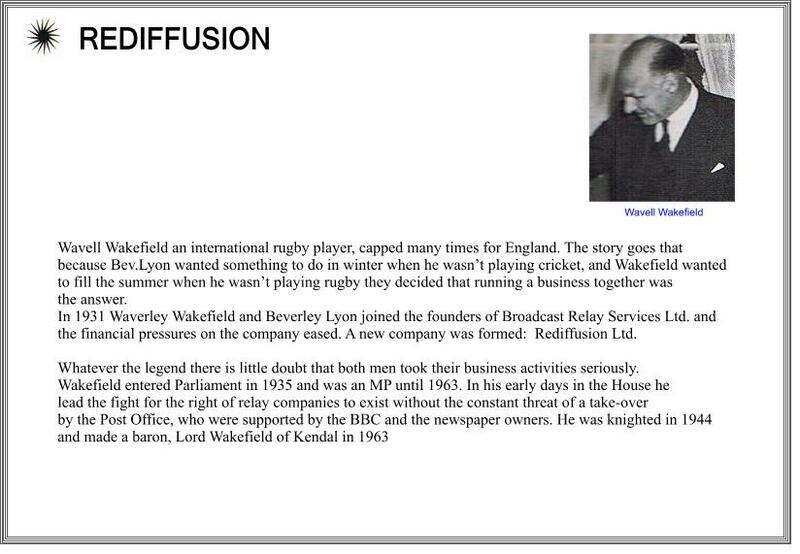 He was knighted in 1944 and made a baron, Lord Wakefield of Kendal in 1963. 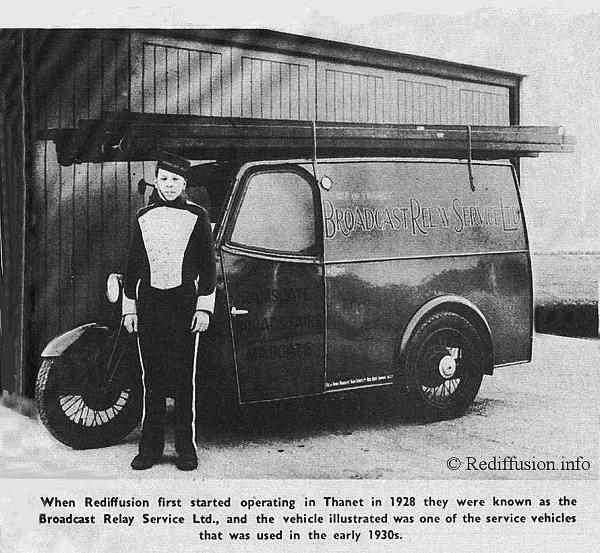 By 1935 Rediffusion was firmly established in Britain and expanding rapidly. This year saw the company’s first overseas venture with the creation of Rediffusion (Malta) Ltd. The new company operated a two-programme wired sound broadcasting service in the islands of Malta and Gozo. 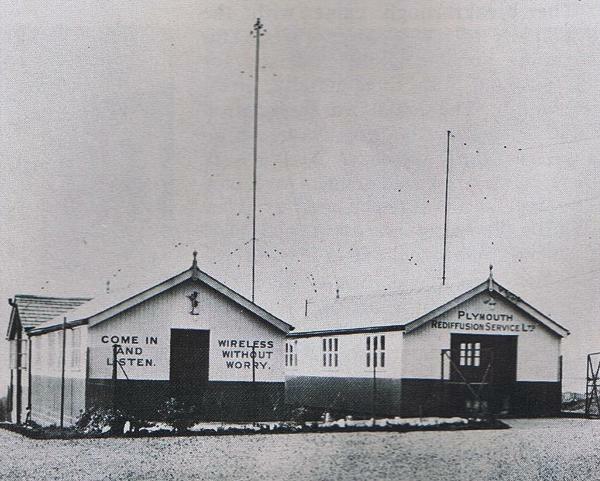 The wired service in Malta was to play a vital part in the beleaguered island’s defence during the Second World War. It formed the major communications network, both military and civil, during the critical period of the Middle East campaign. In 1939 an important development in the company’s history took place in Britain. A small company in the marine radio business called Gambrell was taken over. This company became Redifon. 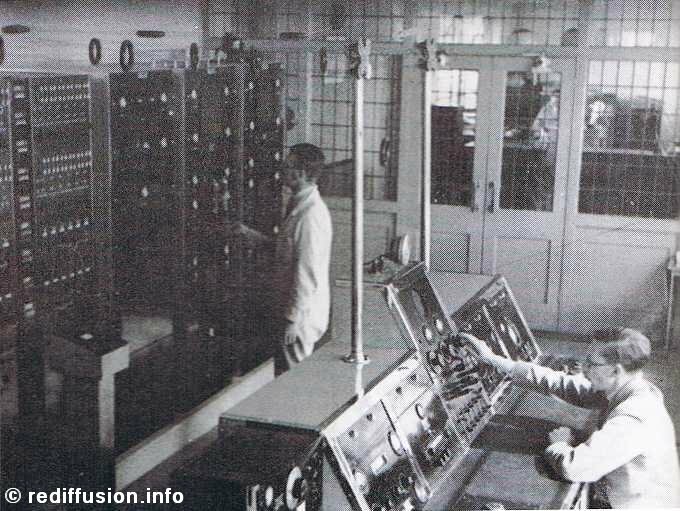 Alongside marine radio manufacture, Redifon also produced equipment for the Rediffusion relay companies. Soon the company was to diversify into the simulation field and went in to designs and manufactures some of the most advanced electronics equipment in the world. The war years in Britain proved the value of the cable network. The system was used by the authorities to issue information and instructions to the civilian population. Even when radio went ‘off air’ the relay system continued. 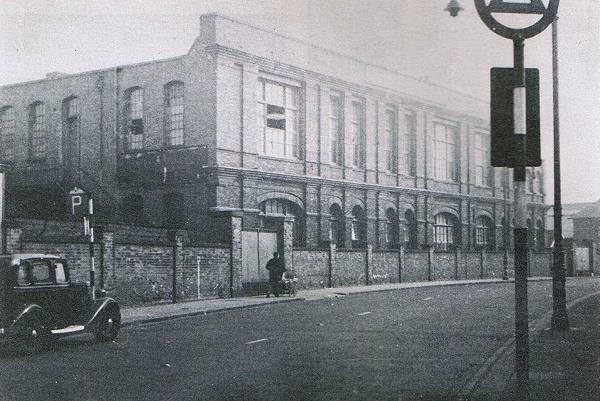 With the end of the war the BBC revived its television service from Alexandra Palace. 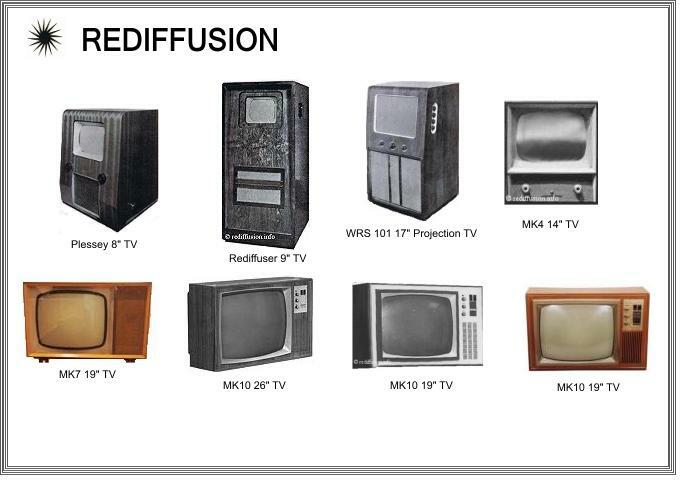 The first Rediffusion TV sets were introduced. Designed to take the one BBC television programme, they had a 9-inch screen and could incorporate the wired sound service. The next ten years saw a major expansion of the Rediffusion group. In 1947 the group expanded to the Far East with the introduction in Singapore of a wired service carrying two sound programmes originated by the company. 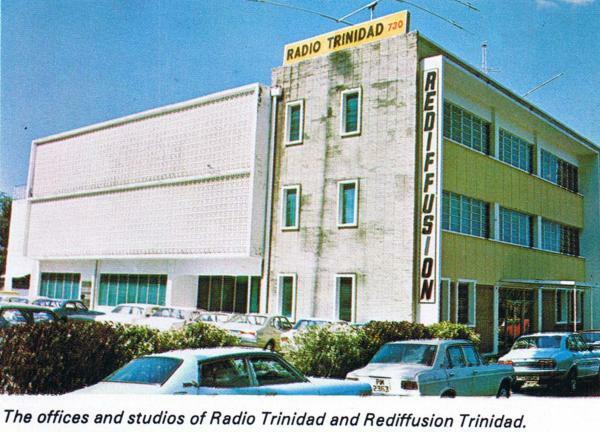 The same year Rediffusion opened in Trinidad with commercial broadcasting both over air and over its wired network. A major development in the Rediffusion story also took place in this year. 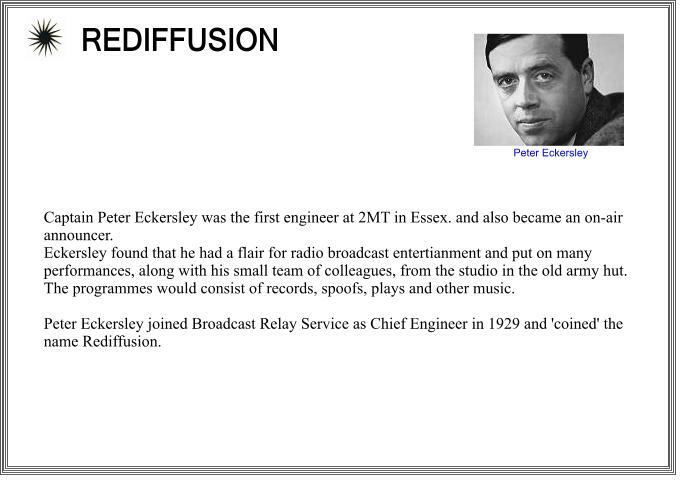 The British Electric Traction Co., which had lost many of its interests in the electricity supply industry under a Government nationalisation programme, bought a large minority interest in the Rediffusion group. There were two immediate effects of the takeover. 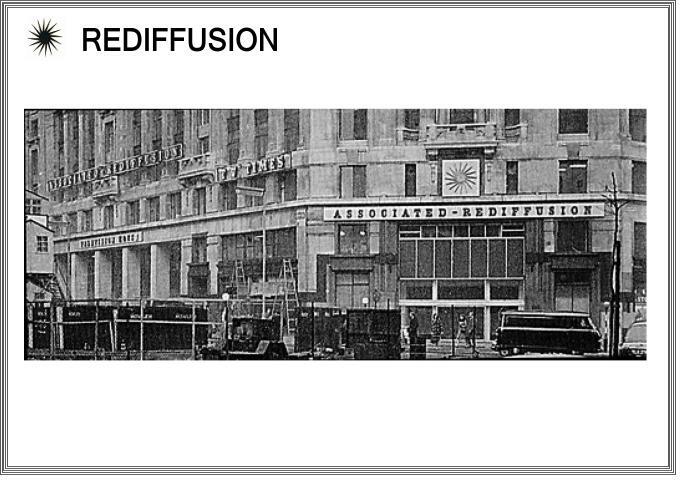 Firstly, the financial pressures that had dogged Rediffusion through its history were relieved. Secondly, it brought another great individualist to the group. 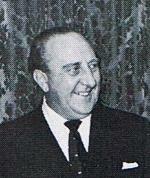 John Spencer Wills, a BET executive, was appointed chairman and managing director of the Rediffusion group. He was to lead the group through a period of major expansion in the UK and overseas. He was also soon to pilot Associated Rediffusion through the critical financial hazards of its early days as one of Britain’s first independent television programme companies. Outside business he had a great interest in music and drama: when he was knighted in 1969 it was for services to industry and the arts. In 1948 Overseas Rediffusion Ltd. Was formed to provide services not only for Rediffusion’s overseas broadcasting stations but for other foreign stations as well. The expansion programme overseas increased in pace in 1949 and Montreal began operations in Canada and Singapore started transmissions the same year. The latter provided two audio programmes of its own, one in English and one in Chinese. Also in the Far East, Rediffusion began operations in Kuala Lumpur broadcasting their own sound programme over a wired network. The year 1950 was one of the landmarks in Rediffusion’s history. 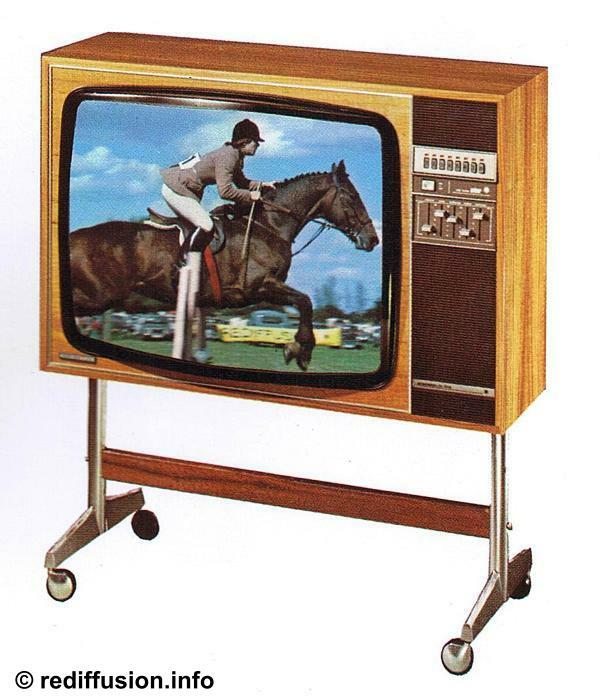 The company introduced an entirely new concept, television by cable. Because television reception was extremely difficult in large areas of the country, TV by cable was for many years the only means of increasing reception there. The first such service to be widely available was introduced in the South East in 1951. 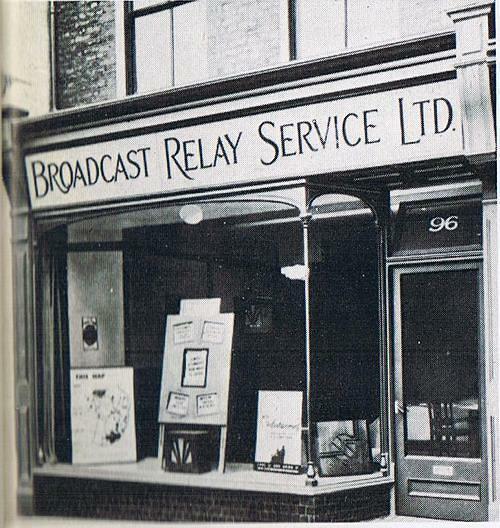 The Rediffusion broadcast relay service was extended to the Channel Islands. This was started in Jersey and wired television was added two years later. Rediffusion subscribers in Jersey were able to get television before the BBC and IBA officially started transmitting on the Island. Rediffusion ‘Radio Jamaica’ came on air and became an immediate success. The group also acquired the radio broadcasting service in Guyana. Soon afterwards Barbados, Ceylon and Nigeria also had Rediffusion wired radio networks. In most of its overseas companies the group was now operating radio stations as well as networks. With the introduction of its wired television service the group’s rental business in the UK was flourishing. The demand for the new service was such that in 1954 a new company was formed to design and manufacture Rediffusion's own sets. 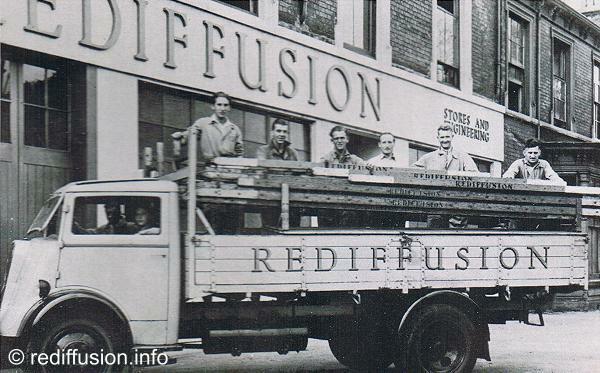 Starting in Chessington Surrey, the new company (later to be called Rediffusion Consumer Electronics Ltd.) expanded to Bishop Auckland and other factories. At this time, too, the International Library Service was formed to expand a library of copyright recorded music. This was primarily intended for use in broadcasting, but has now developed into the Reditune background music service. This service was in in use in over 70 countries and was the largest of its kind in the world. The year 1955 saw an event that was to change the whole structure and nature of broadcasting in Britain. Commercial television was introduced and the BBC’s monopoly in broadcasting was ended. Of all the regional contracts available, London was the most prestigious and it was this contract that Rediffusion and Associated Newspapers applied for and won. were, at that stage of television’s development, not ideal for the medium. To make good the inadequacies of television in these areas the company subsidised serious music through patronage of concerts at the Royal Festival Hall and gave substantial grants to repertory theatres and schools of drama and music. In 1968 Rediffusion Television, a subsidiary of BET , had a 50 per cent interest in Thames Television, the company that succeeded it in London. vision took on an entirely new character, new estate at Houghton Regis. Many Of all the regional television contracts large councils and New Town authorities have since opted for a Rediffusion system on new developments. 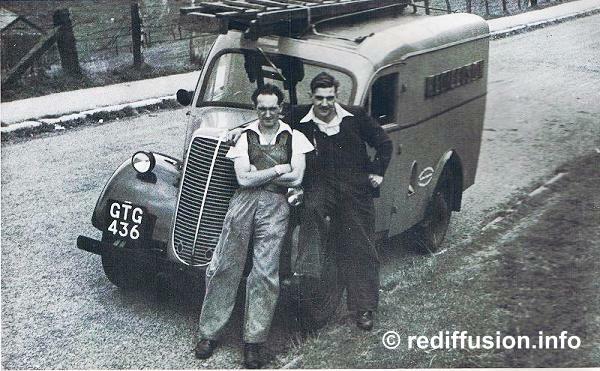 At this time Rediffusion Industrial Services was also formed, replacing the Industrial Communications Division, to provide specialised installations to industry, commerce, educational establishments, hospitals, military and government establishments. It became a thriving company exporting to countries throughout the world,particularly the Middle East. The industry was soon to be faced with a major upheaval. Colour was to be introduced in 1967 and 405-line television was to be phased-out in favour of a 625-line standard. BBC 2 had been introduced and to be able to get all three channels you needed a dual-standard set that would operate on 405 and 625 lines, and UHF/VHF. All the sets on the Rediffusion network were converted to dual-standard, to ensure that all subscribers would be able to receive the new standard. 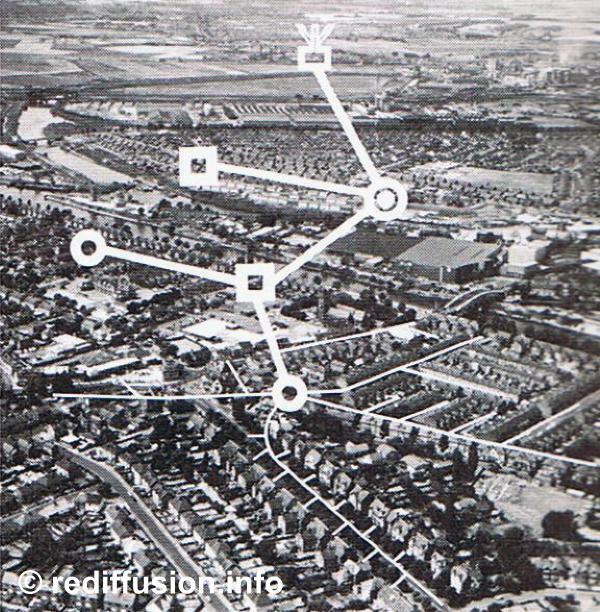 This was an expensive operation as by 1967 there were over 700,000 subscribers to the Rediffusion wired network in the UK. Two years later colour was introduced on all channels and by 1971 the number of network subscribers had climbed to over 900,000 in the UK and l.3 million worldwide. This made the group substantially the largest cable TV company in the world. The company had introduced Dial-a-Programme, a revolutionary cable distribution system, in 1969 and had demonstrated it to the authorities and press in the UK, and to the Federal Communications Commission in the United States. Offering an unlimited number of channels, it opened the doors to an entirely new and exciting concept of information and entertainment. Unfortunately it proved too advanced a concept for governments at that time however, nearly ten years later, the first Dial-a-Program system for the general public has was installed not in Britain, but in the Netherlands. Meanwhile, the group’s specialist companies had also shown some solid expansion. RIS had installed closed-circuit TV systems in the House of Commons and Heathrow, Kennedy, Vancouver and Toronto Airports. 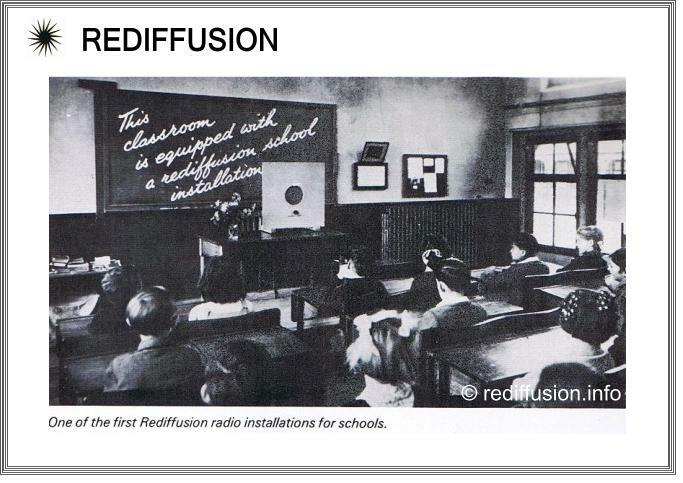 Rediffusion TV systems were also being adopted by an increasing number of major hotel groups. The music side, too, had achieved a high growth rate. Although the UK was still the main market, Reditune was already offering the service in over 60 countries. Redifon, the group’s major manufacturing subsidiary, had gained some notable successes in the flight simulation field. The company was winning major export orders from overseas airlines in the face of intense competition. Redifon made a major breakthrough into the American military market by securing an order for a visual simulator to the US Air Force. The Redifon group expanded greatly and designed and manufactured simulators for a wide range of purposes outside the aviation field. In addition it supplied advanced navigation equipment and communications equipment, and had a rapidly growing computer subsidiary. Redifon’s achievements had been recognised by gaining three ‘Queen’s Awards to Industry’. Rediffusion’s ‘Bristol Channel’ an experiment in local community television was inaugurated by Sir John Eden, the Minister of Posts and Telecommunications, in 1972. The station had the distinction, during the 16 months it operated, of introducing the first breakfast-time TV programmes shown in the UK. In the same year commercial radio was introduced in Britain. 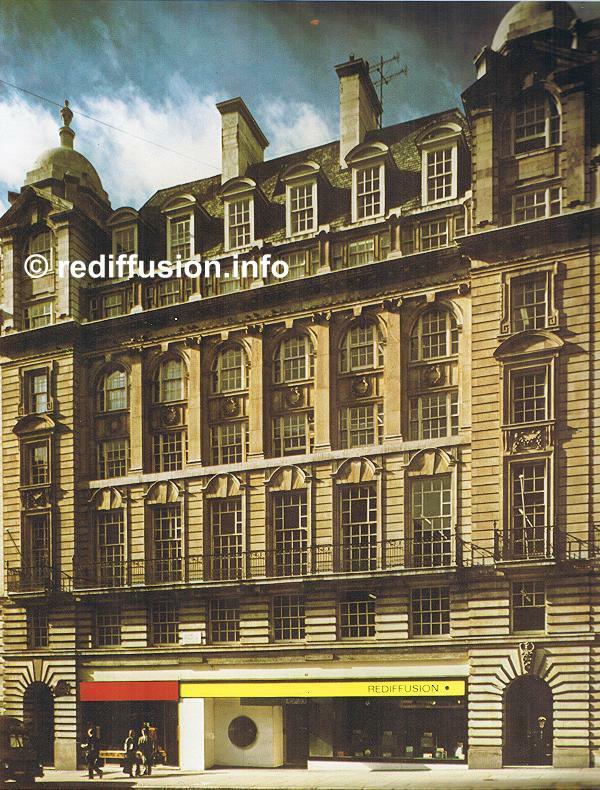 Rediffusion played a leading part in the establishment of London’s Capital Radio and had a 17 per cent stake in the company. 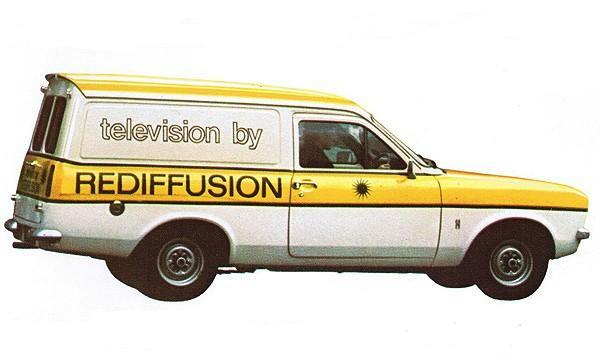 For many years Rediffusion had been pressing for an extension to the services that could be offered over cable. At the simplest level, cable could be used to increase greatly the choice of entertainment available to subscribers. A decision on this development was expected in 1974. 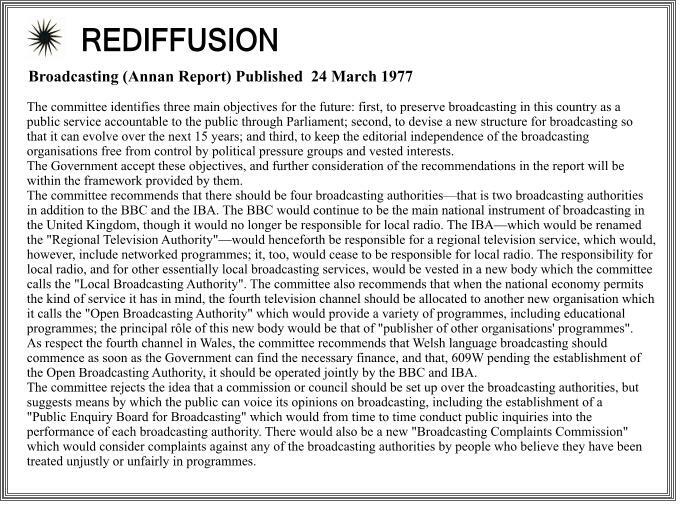 Instead the Government deferred the issue by appointing the Annan Committee to consider the future of broadcasting in the United Kingdom. The Committee issued its report in 1977. The group had by this time , considerably outgrown its cable areas. The company’s new business was to become largely conventional ‘off-air’ receivers, and a growing market in audio goods. By 1976 the overseas interests of Rediffusion had changed considerably. 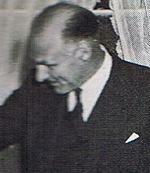 The company's interests in Malta had been nationalised. In Hong Kong Rediffusion’s TV station faced competition from two other stations where there had only been one. The introduction of television in South Africa led to an association with Barlow Rand, in the cable and set rental business. 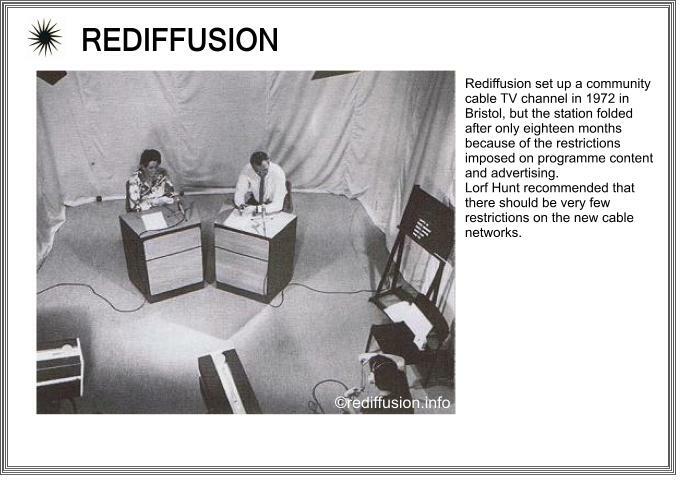 Rediffusion supplied technical ‘know-how’ for the manufacture of Rediffusion sets under licence. Rediffusion was maintaining a policy of expansion and service that had characterised its growth. Employing over 15,000 people internationally, the group was firmly established as a world leader in many areas of its operation. It could look back on 50 years of achievement and look with confidence to the future. Click on the 'highlighted links' within the text for more information.